This may be nothing, but this Sanitary Sewer manhole cover has water rushing noise under it. In 30 yrs of passing by this sewer cover, I've never heard the sound of running water before, making me wonder if there's an unusual leak nearby. Base of hydrant where water is coming out. McWilliams and Son Air conditioning 6211 Springer Dr Port Richey FL , 34668 previous address 1404 Halapa Way Trinity FL, 34655 has installed 30+ units .Company first installed started installing units at the end of 2013 and only started pulling permits after they were caught. Mcwilliams told Code Enforcement that the units were installed by previous contractors and maintenance people which is not true . They first started installing Rheem and then Goodman and after they got caught started installing Rheem so they didn't have to change 5/16 high side line set to 3/8. Thank you for using 311GNV to notify the City of Gainesville of this issue. The Office of the City Manager is in receipt of your service request and we have forwarded this issue to the Building Department. We will notify you of any significant status updates and when the issue has been resolved. Thank you for using 311GNV to notify the City of Gainesville of this issue. The Office of the City Manager is in receipt of your service request and we have forwarded this issue to the Dignity Village Program Manager. We will notify you of any significant status updates and when the issue has been resolved. The water meter outside the business at 1014 nw 4th street is leaking water into the street and straight into the nearest storm drain. This request was emailed and then re-assigned to GRU Water/Wastewater to respond. If you desire to speak with that office please call 334-2711. Thank you for reporting. Hello. I tried to report this from my phone but didn't have time to fill in a sign-in, so I had to cancel it out and drive on. As I was passing the construction fence around the demolition site at the former 238 W. University building, the heavy temporary fence fell abruptly with full force onto the sidewalk. Thank goodness no one was walking on it. They would've been seriously hurt. The McGurns' buildings were recently demolished either side of NW 1st Avenue at 3rd Street. The fences need to be secured and the sites dampened on dry days to keep dust from blowing around. Yesterday I had to roll up my car window when a cloud of dust blew off the demolition site on the north side of NW 1st Avenue. Then again farther down 3rd Street where it intersects with Depot Avenue and trucks were entering and leaving the Argos plant. The dust there is a constant problem and a health risk for Porters residents. agree. They were quick to demo now they can be quick to secure the site and keep it decent for the neighbors being affected by their construction project. It's a mess right now. For the past several months, the lot directly outside my window has been a construction site for The Nine apartment complex. I understand there are certain hours that workers are allowed to complete construction for noise purposes. I do not believe that 11:30pm at night is within those hours. I'm already not please that I hear beeping from construction vehicles most hours the day - and even on the weekends!!! (Again, they are right outside my window) If we could ensure that this site is operating within they limits, it would be greatly appreciated. There are a lot of crushed cement chunks in the traffic circle. Looks like it came off one of the trucks from the cement factory or something. Definitely interferes with pedestrian traffic and will cause hazards if launched by car tires. 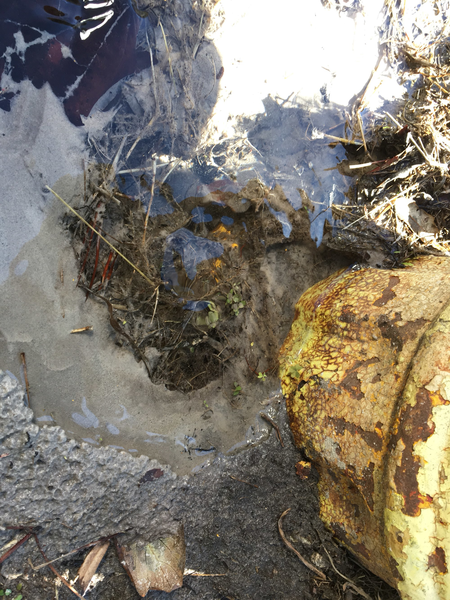 The City's Public Works is in receipt of the reported chunks of cement in the traffic circle at 600 SW DEPOT AVE. We have entered service request number 3507 to have Operations staff investigate. If you desire to speak with that office please call 393-8161. Thank you for using 311GVN. How can I obtain a copy of my marriage license? What are the regulations around street vendors in Gainesville?